Pay a visit to this iconic Scottish monument which is one of the most photographed in the country. Eilean Donan Castle is one of the most recognised castles in Scotland, and probably appears on more shortbread tins and calendars than any other. It is, without doubt, a Scottish icon and certainly one of the most popular visitor attractions in the Highlands. When you first set eyes on it, it is easy to understand why so many people flock to its stout doors year after year. 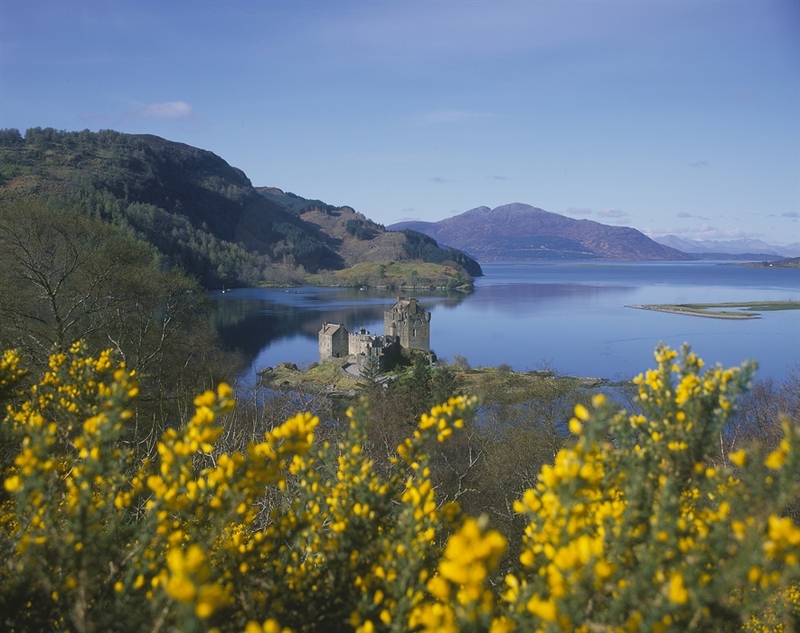 Strategically located on its own little island, overlooking the Isle of Skye, at the point where three great sea-lochs meet, and surrounded by the majestic splendour of the forested mountains of Kintail, Eilean Donan’s setting is truly breath-taking. Following their arrival in the ample car park, visitors arrive at the bright modern visitor centre which houses the Ticket Office, Gift Shop and Restaurant. The entire operation is operated by the Conchra Charitable Trust which was established back in the 1980s by the MacRae family, who own the castle, and whose primary role is to preserve the building and its artefacts for the nation and future generations. Crossing the bridge to today’s castle, the fourth version, you can clearly understand why Bishop Donan chose the tranquil spot back in 634AD to settle on it and create a monastic cell. The first castle was later established in the 13th century by Alexander II in an effort to help protect the area from Viking incursions. At this stage in history the original castle encompassed the entire island and is believed to have been constructed with seven towers connected by a massive curtain wall. Over the centuries, the castle contracted and expanded for reasons that still remain a mystery to this day, until 1719 when it was involved in one of the lesser known Jacobite uprisings. When the British Government learned that the castle was occupied by Jacobite leaders along with a garrison of Spanish soldiers, three Royal Navy frigates were sent to deal with the uprising. On the 10th of May 1719, the three heavily armed warships moored a short distance off the castle and bombarded it with cannons. With walls of up to 5 metres thick, these cannons had little impact, but eventually the castle was overwhelmed by force. Discovering 343 barrels of gunpowder inside, the Commanding officer gave orders to blow the castle up; following which Eilean Donan lay in silent ruin for the best part of two hundred years. The castle that visitors enjoy so much today was reconstructed as a family home between 1912 and 1932 by Lt Col John MacRae-Gilstrap, and incorporated much of the ruins from the 1719 destruction. At this point the bridge was added; a structure that is as much a part of the classic image as the very castle itself. Visitors now have the opportunity to wander round most of the fabulous internal rooms of the castle viewing period furniture, Jacobean artefacts, displays of weapons and fine art. Historical interest and heritage are in abundance with informed guides happy to share a wealth of knowledge. 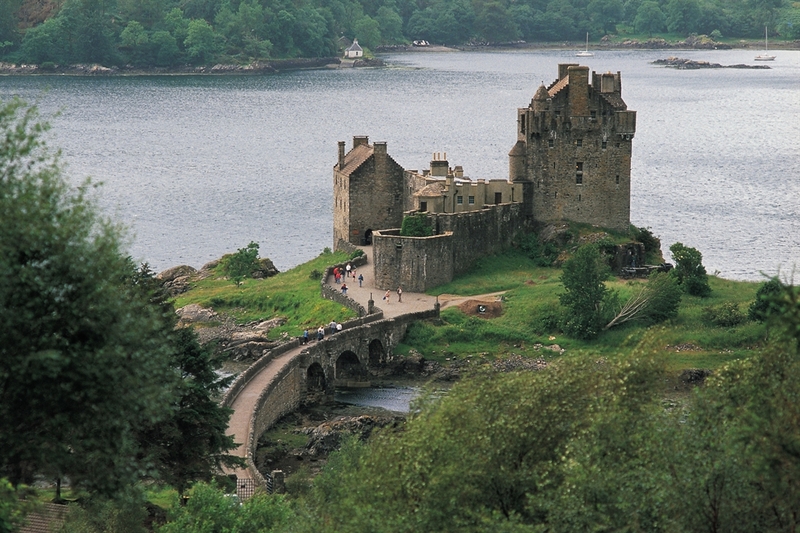 Extremely popular with families, a visit to Eilean Donan promises lots of fun for the kids whether it be swinging a Claymore, spying through the spy holes, lifting the cannon balls, gazing at the fearsome portcullis or exploring the ancient battlements. Wildlife surrounds the island too, with regular viewings of porpoise, dolphins, otters and birdlife. For those feeling particularly romantic, weddings can even be arranged inside the beautiful Banqueting Hall. 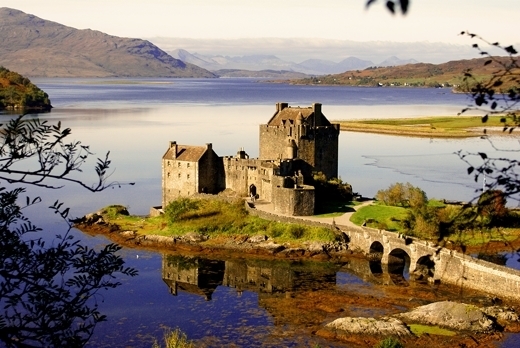 In short, there are numerous reasons why Eilean Donan enjoys such romantic and iconic status in the hearts of our nation and its visitors, but to understand what’s at its core you have to go and discover it for yourself.